This interesting group of traveling actors are traveling to Athens to perform in a festival to honor the god Dionysus. Along the way they seem to get lost and find a perfect audience to practice with. Who tells the story? What obstacles arise? Will they ever make it to Athens? Hopefully they can make it through the story. 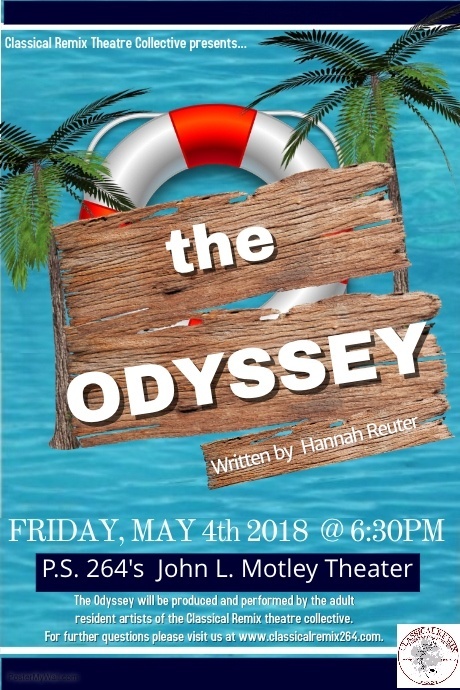 *The Odyssey was performed and produced by the Classical Remix Theatre Collective. The structure of this production was created through play by the ensemble.